America has now been at war for the longest period in its history. Since the first American Special Forces touched down in Afghanistan in October 2001, American troops have served in combat continuously in the Middle East, Africa, and other regions of the world. But for most Americans, these wars remain distant sound bytes on the evening news as the volunteer military shields most of the public from the personal impacts of sending a large draftee army off to war, as America did in both World Wars, Korea, and Vietnam. However, for those serving in uniform, this same time period has been marked by multiple combat tours in Iraq, Afghanistan, and now Syria. Some of these brave service members have their stories now told in this noteworthy new book, which evokes memories of the great personal narratives of World War 2 such as Brave Men and Band of Brothers. 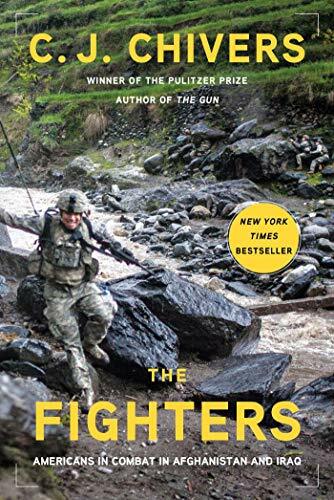 What makes this book remarkable is the narrative style chosen by the author to follow these subjects across their entire military career, with tours in both Iraq and Afghanistan for some, and for others, their home front struggles as well. In one story arc, he follows a Navy carrier pilot from the first days after 9/11 when as a young Navy Lieutenant he becomes one of the first aviators to bomb Afghanistan, through his 12 years of service until we read about the same officer now commanding a squadron and still flying missions over Iraq and Afghanistan. His journey from enthusiastic junior officer to a more measured leader of other young aviators shows the impact of serving multiple combat tours and understanding that sometimes it’s better when you don’t have to drop your bombs than when you do. For other Americans, the impact of war is more immediate, and not always in a good way. The story of a young Marine lieutenant leading his first platoon into combat is both heroic and tragic. Although he has reservations about the short time he has to train with his platoon and whether he can lead them in combat, the lieutenant rises to the challenge, and in spite of his own uncertainties, successfully leads his platoon through one of the biggest Marine operations of the Afghan “surge” of 2010–2011. But in their first major action, the Marines learn the hard way that combat is full of uncertainty and unintended death when a mistargeted American missile destroys a house full of Afghan refugees, killing several women and children. The Marines are all horrified at the consequences of this mistake, yet in spite of their distress they must carry on with their mission. The new lieutenant is especially affected as he must not only deal with his personal grief and regret, but keep his platoon focused on completing their mission while staying alive and looking after each other. The book hits home not only as a narrative of battlefield bravery, but the struggles and triumphs for wounded warriors on the home front. The author spares no details of the pain and frustration experienced by many wounded veterans who faced months or years of dealing with their physical and psychological wounds, reminding us that many of those who served are still dealing with traumatic brain injury or post-traumatic stress a decade after their service. And of course, for some of these brave men, their luck or fate runs out and after serving multiple combat tours they are killed or mortally wounded, leaving their families to ask if their sacrifice was worth it while dealing with the loss of a loved one. Like soldiers throughout history, these men find themselves eventually fighting not for some great cause or grand strategic plan, but for their buddies on either side of them. It that respect, they have become the successors to the Greatest Generation, serving with honor and courage in wars that had ambiguous ends and were never fully understood by the citizens they swore to serve.